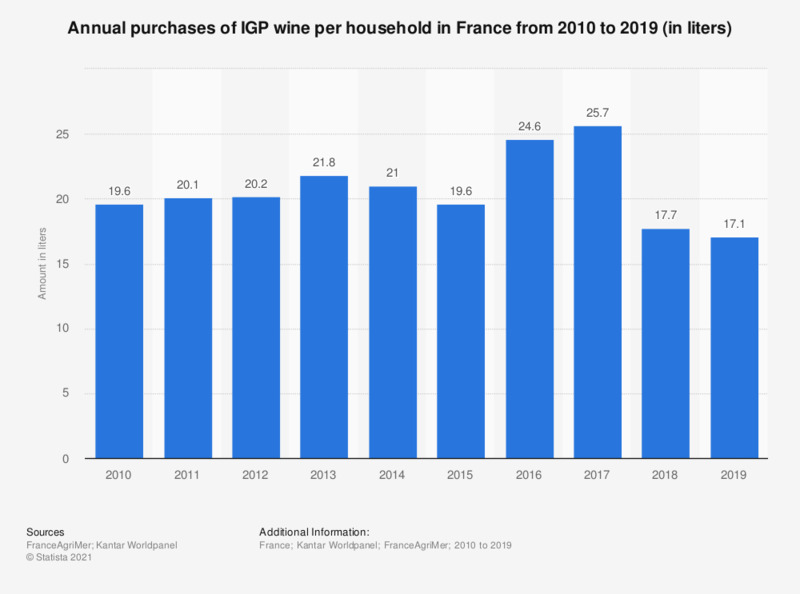 This statistic shows the annual purchases of IGP wine per household in France from 2010 to 2016. Over the period in consideration, the figures reveal that the purchased amount of IGP wines reached its peak in 2016 at 24.6 liters. IGP wines (Indication géographique protégée) are wines with protected geographical indications. What types of red wine have you drunk in the last month?